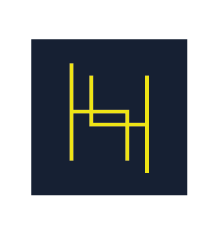 About Us | Henryk Branding Co. — Henryk Branding Co. The origin of our company's name helps define who we are, where we come from, and sets the vision for our future. Henryk Joseph Slawek was a talented architect who moved to Canada in the mid-nineteen fifties to pursue a better life for his family. A Polish immigrant educated in Manchester, England, Henryk was a gifted creative with a modern design aesthetic focused on creating open, welcoming spaces. His impeccable taste for simplicity and clean lines can only be described as ahead of his time. The idea for Henryk Branding Co. is rooted in the principles of welcoming, simplicity, and high-quality work. We approach each client portfolio with the same rigour, dedication, and attention to detail that Henryk took throughout his career as an architect. Our love for the clean and modern is rooted in all that we do. We take care to ensure each client receives a finished product that enhances their vision and exceeds their expectation. We pride ourselves not only in helping our clients deliver exceptional brand experiences, but ensuring they receive the best brand experience from our company as well. We take a unique approach to helping each client uncover their authentic brand and true corporate narrative. Throughout our process, clients receive thoughtful attention, unbounded creativity, timely communication, and precise execution. Henryk Branding Co.'s approach, our practice, and our experience delivery are unmatched by any other branding company in Western Canada. The granddaughter of Henryk J. Slawek, a passionate brand builder and strategic thinker, Carina is the fearless leader of Henryk Branding Co. With over five years of industry experience creating brands and effectively managing them, Carina has a reputation for producing high-quality work with optimized results. Her attention to detail and tactical know-how allow Carina to execute with accuracy and professionalism, ensuring the best outcomes for every client portfolio. She's an enthusiastic brand creator who loves to see a client’s brand come to life through a variety of strategic channels. Carina holds a Bachelor of Arts in political science from the University of Alberta, a Bachelor of Communications from MacEwan University, and is currently working towards her Masters of Arts in Communications and Technology at the University of Alberta. She has extensive experience working in the public, private, and nonprofit sectors, and has worked with small to mid-sized companies on both a local and national level. 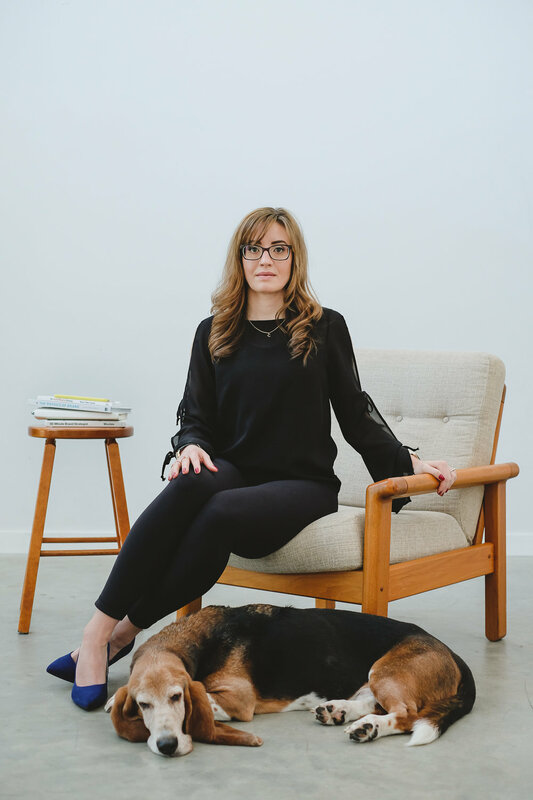 On the rare occasions when she's not working on a client's brand, you will find Carina engaging in some sort of physical activity (usually in Edmonton's beautiful river valley), volunteering with her therapy and wellness dog, Edward the Basset Hound, or mentoring the next generation of brand builders. Canadian born communicator, writer, and blogger, Paige is Henryk Branding Co.'s Junior Brand Builder extraordinaire. Living in Edmonton, Alberta, Paige is currently in her fourth year of the Bachelor of Communication Studies program at MacEwan University. Over the course of her university career, Paige has worked for several notable non-profit and for-profit organizations in Edmonton, in communications and marketing roles. Paige excels at writing and content development. She is a social media maven who enjoys helping clients get the most out of their strategic communication channels. Paige is quickly learning the art of brand building and is on her way to putting Carina out of work! When Paige isn't working, studying, or blogging, you will most likely find her hiking a mountain, walking her dog, or reading a good book.